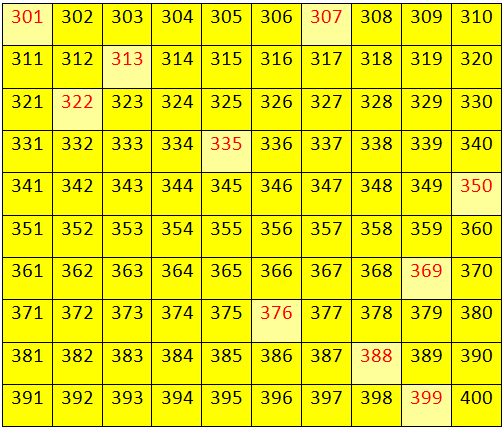 Worksheet on numbers from 300 to 399 will help us to practice the numbers from 300 to 399 in orders. (i) The greatest 3-digit number is ________. (ii) The least 3-digit number is ________. (iii) The number just after 3 hundreds 9 tens is ________. (iv) The place value of 5 in 357 is ________. 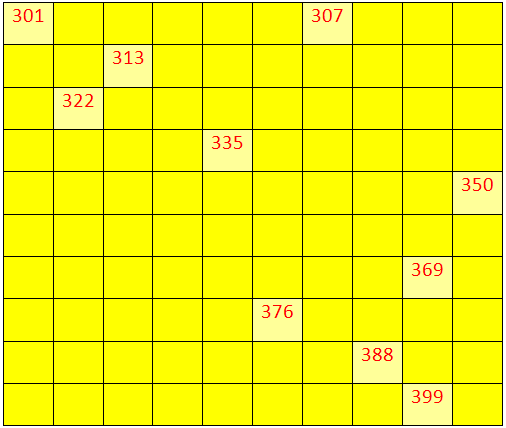 (i) Find the difference of the place value of 3 and 7 in the number 375. (ii) Multiply the place value of 1 in 175 by the place value of 5. (iii) What are the even numbers between 311 and 319? Answers for the worksheet on numbers from 300 to 399 are given below to check the exact answers.